From Dunks to Air Jordans, Nike has transformed its most revered classics for the golf green. Coming up next is the timeless Air Max 1, a running shoe that debuted in 1987 that has served as the poster-child for how technology and innovation can serve as an identity for a sportswear brand. 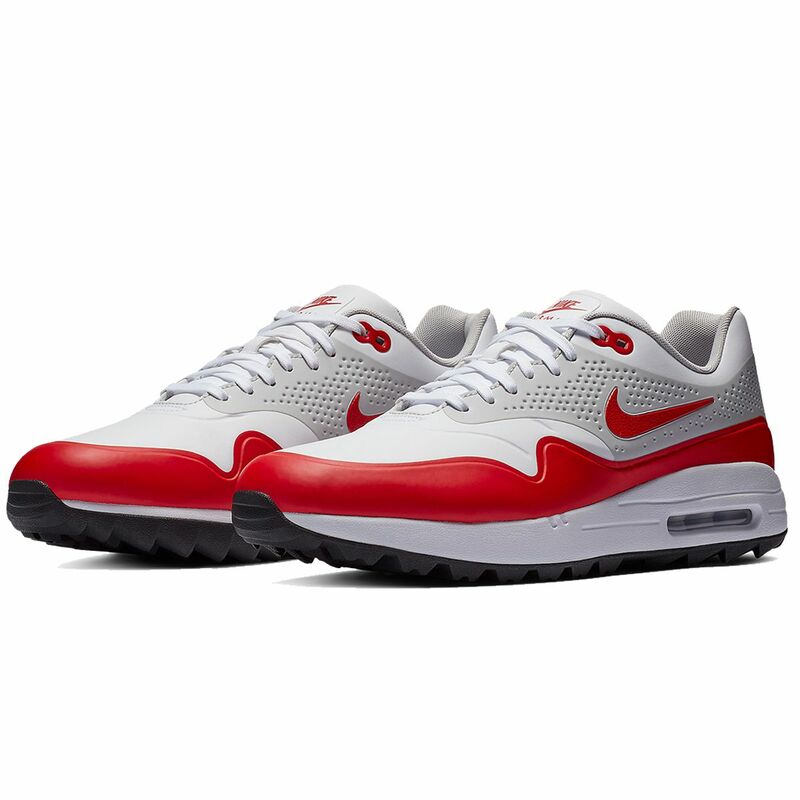 There are some obvious modifications to the Air Max 1 Golf such as the rugged grass-ready outsole, the smaller embroidered Swoosh, and a reconstructed upper fit for the sport. The full manufacturer's warranty from Nike is only valid when the Nike Air Max 1 Golf Shoe is purchased from an Internet Authorized Dealer. 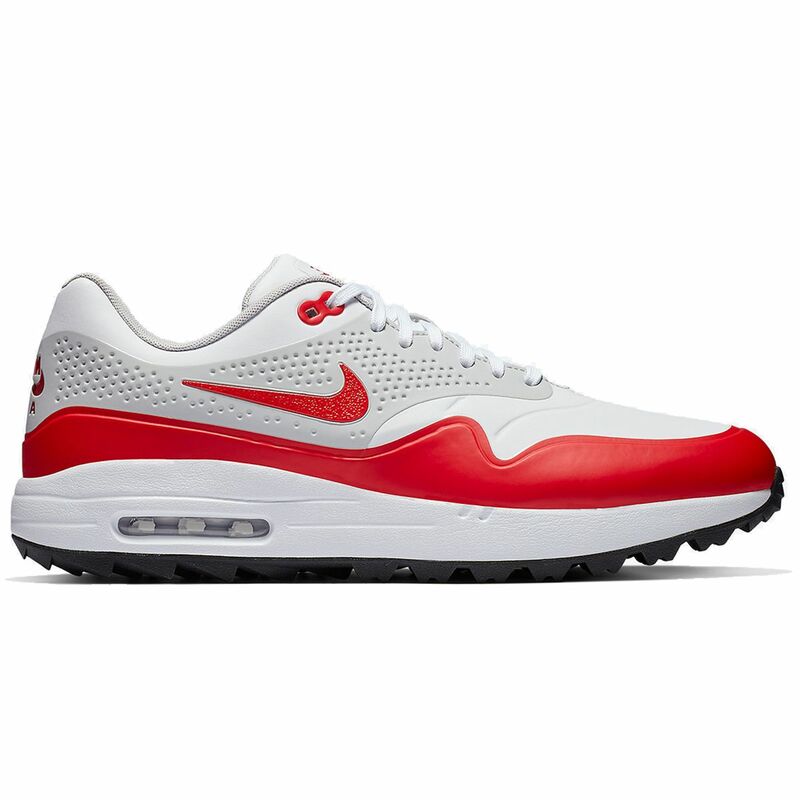 We will match any Internet Authorized Dealer's best price on the Nike Air Max 1 Golf Shoe. 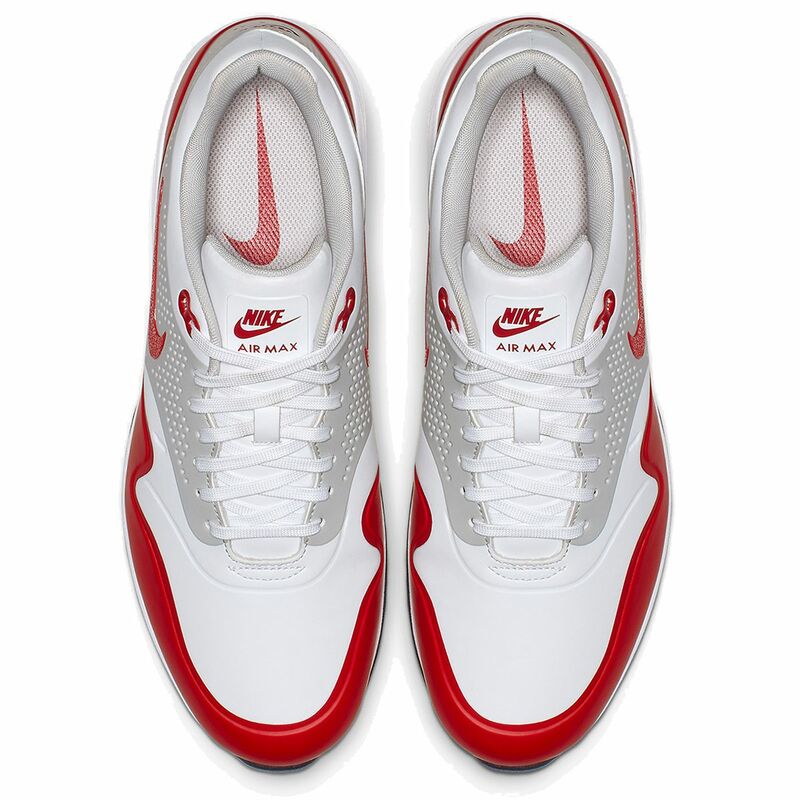 The Nike Air Max 1 Golf Shoe may be referred to by the following terms: 886550267540, 886550267557, 886550267564, 886550267571, 886550267588, 886550267595, 886550267601, 886550267618, AQ0863-100/10, AQ0863-100/10.5, AQ0863-100/11, AQ0863-100/11.5, AQ0863-100/12, AQ0863-100/13, AQ0863-100/9, AQ0863-100/9.5.